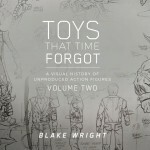 D&D Toys and Collectibles Episode 347: Pre-Toy Fair 2019! And Toy’s R Us announces an OFFICIAL Return? Kind of? Dave and Devall are BACK with an all-new toy review! 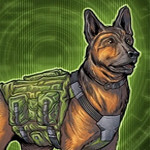 This time, they are back with a look at the Marauder Task Force 1:18th K9 Dog, Exo Suit & Contract-Ops figures! Click in to watch! Devall sits down, literally, and gives you a look at an amazing box of goodies sent by Brian and Veronica Panizzi! Come check out the goodies! Click in to watch!